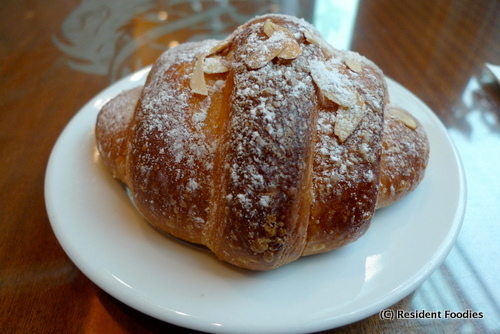 Was Check Please Chicago’s review of the Ba Le Bakery on target? Resident Foodies say: After Check, Please! 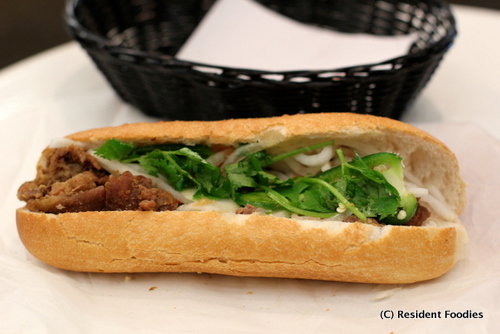 Chicago reviewed the Vietnamese sandwiches at Ba Le Bakery yesterday, Resident Foodies decided to give it a try. While the French baguette was outstanding (both crispy on the outside and soft on the inside, as the way it should be), we were not as impressed with the filling inside. The pork was a little bit stringy, and we couldn’t taste anything barbecue about it. The cilantro, daikon, and Jalepeno peppers were all good. Frankly, the sandwich might have tasted better without the bland pork. But, hey, maybe for a sandwich under $4.00 we are asking for too much! It is a bargain and definitely a great change to the typical lunch sandwich. 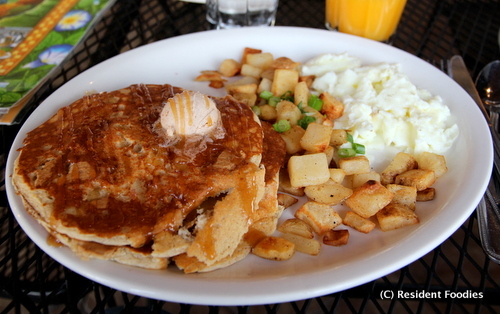 Resident Foodies say: Egg Harbor Cafe is the brunch spot to go to on Main Street in Lake Geneva, Wisconsin. Today’s special (pictured above) is a scrumptious combination of Fuji apple and cinnamon pancakes topped with Graham cracker crust (whipped cream if you want it), plus two eggs made to order plus potatoes (substituted for bacon or sausage). The Graham cracker on the pancakes were delightful, as were the fresh Fuji apples. One of the best pancakes we’ve tasted all year! Loved it.